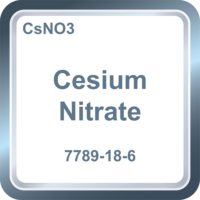 These are our Cesium products! In the top left corner of the images you will find the corresponding chemical formula and at the bottom you will find the CAS-number. For more information about a specific product, simply click on the image! You can also use the search bar above.